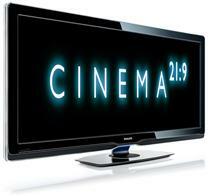 Philips will retain a 30 percent stake in the TV division and will receive royalty payments of $70 million a year. On April 1st of this year - less than three weeks ago - a guy named Frans van Houten was made CEO of Philips. He promised that the continuously unprofitable TV business would be first on his list for things to fix and he didn't disappoint. Van Houten has a solution. That solution is to sell off a majority of the Philips TV business to a Hong Kong based manufacturer called TPV Technology. All 4,000 Philips employees will be moving to TPV, so at this time there will be no layoffs from that division. Philips will retain a 30 percent share of their HDTV division and will be getting a bit of cash for each set sold as well as around $70 million a year in royalty payments. Not a bad start for Mr. van Houten.